Have you Heard of the Neologism “Let’s CyClean it? Other more hip examples include “LMAO,” “facepalm,” and “hashtag.” At least I think they’re hip. Whatever they are, these terms have integrated themselves into our language. I sometimes text LMAO and frequently use the word hashtag, and I’m sure you are no stranger to these neologisms. Why am I talking about neologisms on a post about CyClean? The reason is “CyClean” itself is a neologism. Haven’t heard of it? Well, it’s just beginning to take off. Currently, the word is circulated amongst our CyClean team members, and we are really having fun with it! Let me define “CyClean” for you in the way that we use it. Then, I will give you several examples. To CyClean something: to participate in an activity of cleaning up trash, reducing air pollution, or making use of a CyClean product. It can also be extended to mean any activity that makes our world a cleaner place. 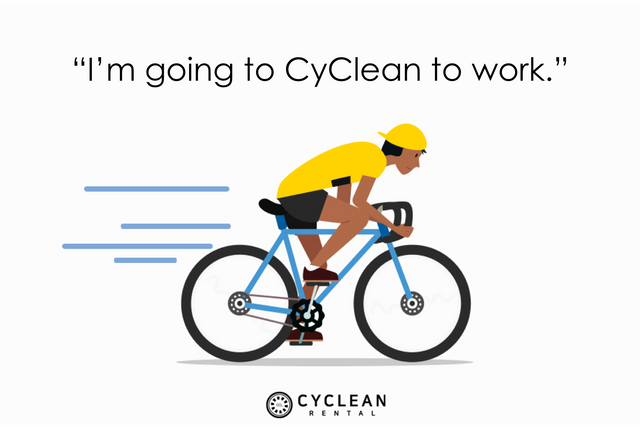 “I’m going to CyClean to work.” This is a good example of how the word is used. If I am going to use CyClean’s electric bicycle or electric scooter to travel somewhere, I will say this expression. It’s a fun way of making sure that people know you are not riding an ordinary bike – you are riding a CyClean product. If you mention that you are going to CyClean to work, people will be curious. Then, they’ll have to ask you, “What did you just say?” Once you explain that you are riding a zero emissions vehicle, people will come to know that you are using an ecofriendly product! 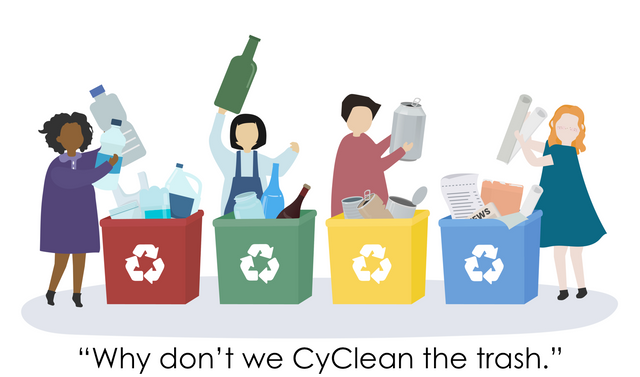 Our next phrase: “Why don’t we CyClean the trash.” To “CyClean the trash” means to throw trash away, but it has an added zest to it. By using the word CyClean instead of “throw away the trash” or “take out the trash,” you remind yourself and your friends that you are contributing to the restoration of the environment. Why don’t you try saying this next time! Today, you learned a new verb that can be incorporated into your language. Next time you meet your friends, don’t forget to teach them these words as well. All we’re trying to do is tell the world about our project and the good that it can bring to our planet. Doesn’t saying and hearing the word “CyClean” give you a heart-warming feeling? I know it does for me. I understand if you’re embarrassed to say this word at first. I was too. But the more you say it, the more it catches on, and now, several of my friends use CyClean as a verb. Thanks for joining us today to learn a neologism. If you have any other ideas for us, please let us know in the comments section or through our official channels. We’d love to hear from you. And before we go, let me just remind you that CyClean’s World Model Contest is just around the corner. You don’t want to miss out on this phenomenal event that we’ve been planning for many months. So to summarize today’s post, we learned about using the word “CyClean” in a different way. Spread the word about CyClean by using it as a verb in a fun and light way! Oh, and tell your friends to participate in CyClean’s model contest by voting. Free CyClean tokens for everyone! Take care folks.